A novel for those who loved Behind the Scenes at the Museum, The Poisonwood Bible and The Lovely Bones. A novel for those who loved Behind the Scenes at the Museum, The Poisonwood Bible and The Lovely Bones. Raped then murdered in Japanese-occupied Hong Kong in 1942, Lin Shui's `Hungry Ghost' clings tenaciously to life. Holing up in a hospital morgue, which is destined to become a school, just in time she finds a host off whom to feed. It is twelve-year-old Alice Safford, the deeply-troubled daughter of a leading figure in government. The parasitic ghost follows her to her home on the Peak. There, the lethal mix of the two, embroiled in the family's web of dark secrets and desperate lies, unleashes chaos. All this unfolds against a background of colonial unrest, riots, extremes of weather and the countdown to the return of the colony to China. As successive tragedies engulf Alice, her ghostly entourage swells alarmingly. 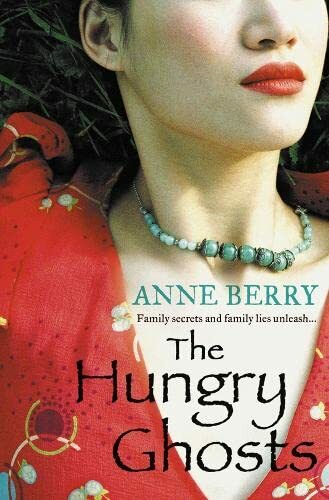 She flees to England, then France, in a bid to escape the past, only to find her portable `Hungry Ghosts' have accompanied her. It seems the peace she longs for is to prove far more elusive that she could ever have imagined. `The Hungry Ghosts' is a remarkable tour de force of the imagination, full of instantly memorable characters whose lives intermesh and boil over in a cauldron of domestic mayhem, unleashing unworldly spirits into the troubled air.